Kanchenjunga Extreme Trek is an adventurer trek with the third highest mountain in the world and one of the remote trekking areas in the north-eastern border Himalaya of Nepal and joined with Sikkim in India. This is one of the listed treks in the Nepal and this trek start from the Hile and finished after fly out from Taplejung. The commence trekking up Tamor valley along one of the oldest trade routes in the Himalaya with the lush rhododendron forests you climb on into high alpine terrain beyond the village of Gunsa and a camp established high above this village that provides outstanding views of massif Kanchenjunga. We pass the Lapsung La pass and Mirgin and trek on the Yalung Glacier and Kanchenjunga Base Camp. See more. This really is still explorative trekking and you must be prepared to take the trail as it comes. This area is abundant in wildlife and habitation consists of only a few scattered villages. There is good wildlife as musk deer, blue sheep and for the believer, the Yeti. 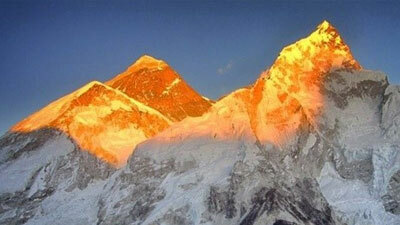 Magnificent views of Everest, Makalu and look up at massif Mt. Kanchenjunga towering south face is easily reward enough for your efforts. We walk on a following quiet trail through beautiful remote landscapes will make the trip worthwhile. You'll encounters with local Sherpa, Limbu and Rai communities and trek down to Taplejung ends you trek with great memories. The Kanchenjunga Extreme Trek gets started from Hile (Taplejung district), which is usually reachable by a roadway from Biratnagar. The lengthy trek on a less populated route is somewhat plus point for us, with an original perception of life-style in Nepalese countryside and its eye-catching scenery. Initially, the path leads north-eastwards to Khambachen. After that we turn western side throughout a couple of passes and then keeps up to the Ghunsa where it climbs up to the High Pass facing amazing higher alpine surroundings. And then gets back southwest to Taplejung, the starting and final spot of the Kanchenjunga Extreme trek. After short 45 minute flight we reach to Biratnagar, industrial city a south-eastern region of Nepal, and drive for 4-5 hrs get to Hile bazaar one of the best picturesque point, influence of the Tibetan style. After arrival, little walk and exploration can be done of surroundings. Togba, a local wine is very famous made by millet, can get in local restaurants. We call it a night. After breakfast today we’ll trek through a forest area to Chitre, observing the local wildlife along the route. The views of Mt. Makalu (8476m) and Chamlang area the main highlights along the trail. The trail climbs up through mossy rhododendron forests, with superb views over the valleys of Arun Koshi and Tamur koshi to the village of DoorPani. We start our trek this morning with a gently ascend in a rhododendron forest and reach at the ridge of hill and descend to village of Tongise Phedi along with Chanki where local used for summer pasture and further trek to grassy fields with a view of Makalu ranges and arrive at Mangal Barahi pass, magnificent view of immense Kanchenjunga range. This pass has decorated with lot of Mani stone (Secret Buddhist carved stone) and descent to Gupha Pokhari for the overnight camp. Today our pace set up to cross the pass at (3,025m/9,922ft) and move down through the opaque forest to get to the Gurja Gaun, we continue our journey towards the Nesum, great view of Mt. Kanchenjunga and Mt. Jannu, enjoy the scenic beauty; the next stop of our trek. Below Nesum, the trail continues its decline to the Tamur Koshi, meandering down past scattered farms to a suspension bridge over the small river. Show your permit for inspection and cross Dobhan (640m), after three hrs leaving Nesum. At Dobhan, you cross the Tamur Koshi and make the step, testing ascent to Taplejung. This is the central hub of this region and also a useful depart route for any unwell. Follow the east bank of Tamur as the trail dips and rises along the riverside, striking rocky fields and landslides to a valley populated by the “Limbus” peoples, the descendants of the Kirati warriors who ruled Nepal at the foundation of Nepalese history. The valley narrows and tumbles down to a wooden bridge across the Thiwa Khola at 1140m, then wind up and down along the riverbank of Chirwa. We camp near Chirwa, a pleasant bazaar with a few tea houses and shops. Meander north along the east bank of the Tamur River on a rolling trail to the Chhetri village Tapethok (1320m). This is a Kanchenjunga National Park checkpoint. From here cross the simbuwa khola, a river formed by the Yalung Glacier, along the Tamur to the Walunchung gola (3220m). Drop down to the Tamur and cross on a new suspension bridge, just above the confluence with the Ghunsa Khola. 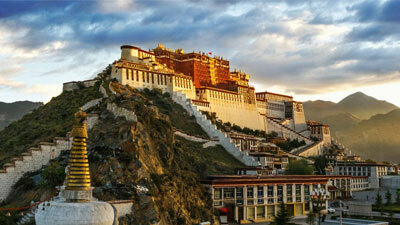 It’s a short walk along the steep to a riverside camp site near the Tibetan village of Sakathum. Start on the narrow trail that wind along the north bank. After few ups and downs beside the river, you’ll reach some stone steps that scramble high above the river to a waterfall and the tiny hamlet of Ghaiyabari (2150m). Another climb from the gorge bottom passes by Solima. The trail passes along the canyon, hence be careful while walking. Then following the ascending and downward tricky trial, we conclude our today’s hectic journey at Amjilossa. This is relatively short day continues to climb along the Ghunsa valley. You’ll definitely feel the mountains are getting closer as you climb to a flat ridge and meander through a forest of bamboo, Rhododendron and gnarled brown oaks, passing scattered pastures and waterfalls. We climb abruptly to Kyapart, perched in the middle of terraced hills about 350m up from the Ghunsa Khola. The trail begins a grinded climb to the Sherpa village of Gyabla or also called Kyapar. The day begins with a steep drop into a ravine, followed by an easy level stage through fir and rhododendron forests along the riverbank. It takes all mornings to trek to the yak pastures and potato fields of Phole (3210m). Above Phole, the valley widens and the trail improves through fields and larch forests, dipping down to the riverbed before crossing to Ghunsa Khola and crossing a bridge to the village of Ghunsa overnight camp there. We have reached at the alpine zone from where we can be seen the Jannu glacier view. We amble further with a glimpse of the Mt. Jannu enjoying the day with a Mountain View and feel the difficulty in the trekking in the towering altitude. Short breathing may occur we suggest to drink adequate water. We will arrive at mountain sides at our camp to Khambachen after descending from the ridge and overnight at camp. This is a rest day to allow your body to adjust to the higher altitude. The views from here are outstanding- the peaks of Khabur (6332m) and Phole (6645m) and Jannu are creased up at the east, while the snowcapped ridges beyond the Kanchenjunga Glacier loom spectacularly to the north. Instead you could try a bit of nature Photography. So be worthy of a rest today to collect memories on how wild and wonderful everything has been so far. Above Khambachen, the trail enters a desolate landscape gouged by the icy fingers of glaciers. The path climbs gradually across the slopes of landslides to pasture area Ramtang (4350m). 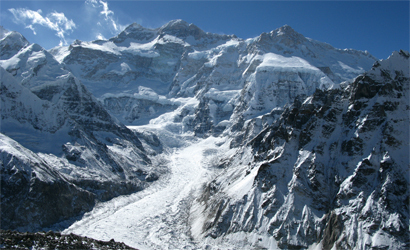 The trail runs along the lateral moraine of Kanchenjunga Glacier, following the north bank of the river and cross over to the Lhonak Glacier. On the east side of the valley is the crown shaped Merra Peak (6344m). We arrive at our campsite at Lhonak. The village of Lhonak sits beside a wide often dry lakebed on an open sandy plain. We shall have a rest today to make progress from the labors of the previous day. 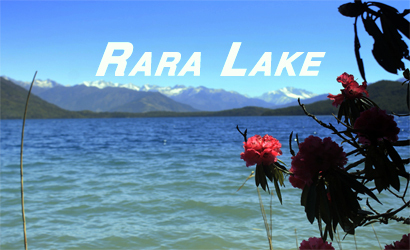 Have a beautiful glimpse around the pass of the spectacular snowcapped mountains and ridges. Today we have most challenging day cross over two passes as Lapsang la pass (5180m/16990ft) and Mirgin pass (4500m/14760ft). Depends on a weather condition, we'll decide on the spot, what we can do. This will be the tuff and long day as we reach at our camp to High camp. Today, after breakfast, our trek descend to the Simbuwa khola valley and further walk On the way you will have chance to see the picturesque scenery and walk o your pace. Feel the Himalayan refreshment after the two crosses to Ramche where we'll have overnight. Ramche is situated on a broad, flat ablation zone. 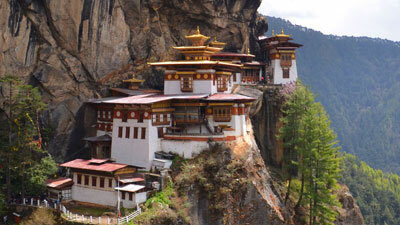 We'll walk to day trip to explore the ablation valley near Yalung glacier and best view of Mt. Kanchenjunga. The scenery is magnificent as we descend past the snout of the Yalung Glacier and into a series of ablation valleys. A frozen lake, crystal clear streams and views of Kokthan, Rathong and Kabru are the highlights of this trek and we wander back to Tseram for the overnight stop, where the night-time temperature plummets. Today’s trek on the trail is fairly downhill and as the day progresses, the trees become sparser and more stunted, giving us glimpses of the snow-capped giants ahead and of the massive snout of the Yalung Glacier. We are walk on a forested path of rhododendron and pine forest after we reach at Torontan call for the night. Today, our journey begains with descend to Yamphudin, crossing the ridge. Yamphudin is a mixed community of Sherpas, Limbus, Rais and Gurungs and the first real village since Ghunsa. 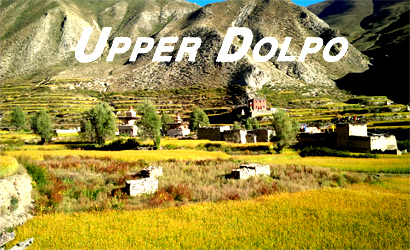 Explore the village to know the real lifestyle of cultural grouping in the Himalaya. Following the west bank we cross the Kabeli Khola through the beautiful landscapes. After the Kabel Khola, crossing on a fragile-looking suspension bridge, get down to the ridge. Passing through the dotted house of Pauwa of Mamanke continue to ascend rice terraces up to Phumpha. Today, we start to climb to a ridge then descend through a series of side valleys past Phudin village to Kesawa. The trail continues to ascend to a Gurung settlement at Bhanjyang. From here the trail circule a ridge and descends to the Limbu village of Khunjari, where we camp on the banks of Pha Khola and overnight at camp. We descend from Pha Khola to Taplejung for our overnight stay. This would be our last day of the trek. Enjoy the local customs and traditions at evening. Today we are on the road to Biratnagar. 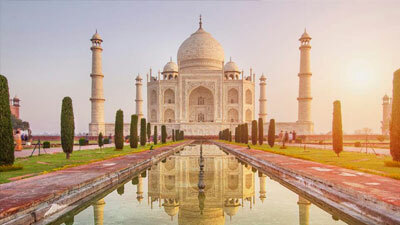 And take a flight to Kathmandu. Reaching Kathmandu you wall be transferred to your decimated hotel. You can have your own time or stroll down to main streets of Kathmandu.